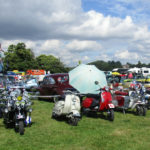 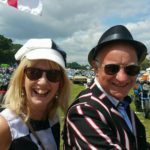 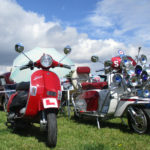 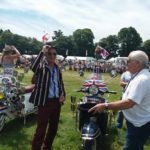 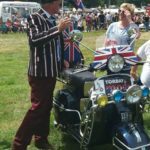 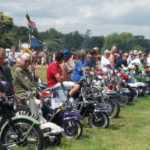 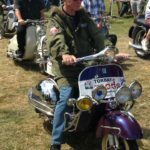 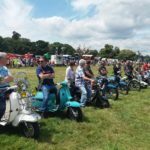 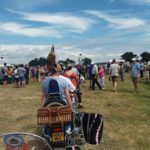 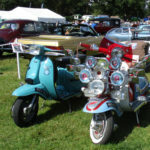 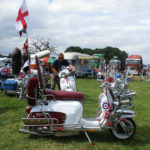 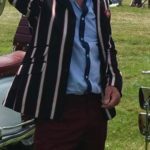 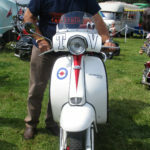 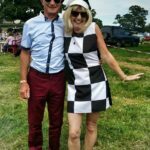 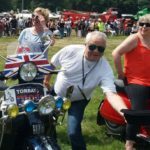 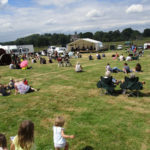 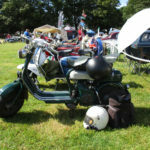 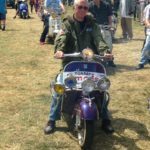 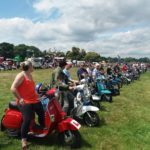 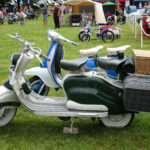 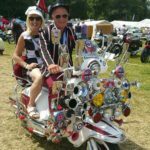 On the weekend 7th to 9th July the 44th HISTORIC VEHICLE GATHERING at Powderham Castle near Exeter was held with hundreds of vintage, classic and customised vehicles on display. 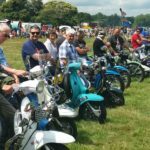 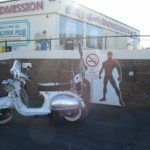 Our club turned up early on the Sunday and we had a great day with many people coming up to us and chatting about the good old days. 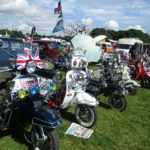 Also it was great fun riding round the arena in front of all the visitors!